Ever fancied yourself as the next David Bailey CBE? Now’s your chance to make that leap to professional acclaim with the brand new Event Photography Awards (EPAs), judged by such talents as internationally acclaimed photographer David Loftus and award-winning designer Paul Daly. Inviting entries from amateur and professional photographers, across three categories – Amateur, Professional, Social Media – the EPAs are a celebration of the incredible and diverse nature of the events and hospitality industry, its personality and its influence. Launched by energetic events staffing agency and training academy Off to Work, whose portfolio of clients includes award-winning catering companies, major sport, music and arts events, acclaimed UK venues and luxury hotels, the EPAs are an opportunity to capture the essence of what makes live events so special. If you work in events or hospitality, in any discipline, the EPAs are for you, whether you pursue event photography as a professional, full-time career and are keen to scoop the acclaim and publicity opportunities this new award guarantees, or you’re a budding amateur, handy with your digital SLR and with a sharp eye for a stand-out photograph. A particularly exciting category for bloggers, creative marketing and communications professionals and social wizards is the Social Media photography award. Storytelling with images accounts for reams of dialogue and social sharing on Twitter, Facebook, Pinterest and other sites. Submit your best smartphone or tablet photography, Instagram pictures and photos cleverly modified using editing apps to be in with a chance of winning this imaginative category. All category winners will receive the acclaim of being named Event Photographer of the Year in their respective category, coupled with a great selection of prizes, which include prominent exposure at the Event Photography Awards Exhibition, a gallery of the exceptional photos scooping the individual awards. The Event Photography Awards Exhibition will run throughout April and May at the London Irish Centre (LIC) in Camden, north London, a charming meetings and events venue much loved by the Irish community for its role played in celebrating Irish culture and arts. The VIP exhibition launch party takes place at the LIC on 8th April 2014. Type of equipment used to capture photograph, plus any effects used etc. Entrants are allowed to submit up to THREE photographs in one single category. Closing date for submissions is Saturday 8th March 2014. Entry to the competition is free. For more information on the entry process and the criteria for taking part, visit http://www.offtowork.co.uk/event-photography-awards.html. Learn about social media campaigns, connectivity and RFID implementation designed to maximise the event and delegate experience in 2013 at a free breakfast briefing on 14th May at Prince Philip House. Speakers include Andi Allen from Reflex Limited and Richard Hughes from Max WiFi, who’ll look at what organisers need to know about connectivity in the live environment, including digital signage. Mike Fletcher, freelance multi-media writer and editor, will look at inspiring social media use within live environments and how to measure its success, while Richard Smith from Excelerated Apps will explain how to use RFID and NFC technology to put social media at the heart of your events. Registration from 7.30am, briefing begins at 8am prompt. Breakfast and networking from 9.10am -10am. To reserve your free place, email Becci Thomson or click here for more information. 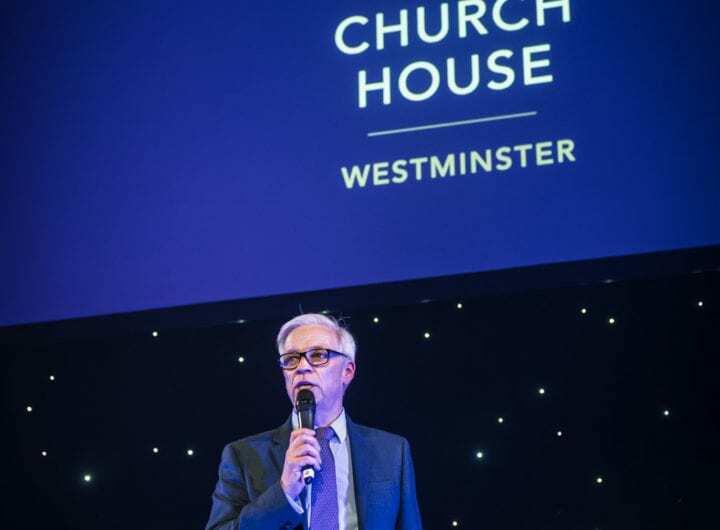 Robin Parker, marketing director for The Westminster Collection, talks us through the design decisions and brand new features of the venue collection’s new website, which launched officially this month. Venue choice in London can be overwhelming as there are so many locations, building styles, budget options and varying degrees of quality to consider. We know from our clients that efficiency at the venue sourcing stage is absolutely critical, because that’s often the most time consuming part. You have an event theme, an intended date and a full marketing plan ready to get off the ground for your event, but until you find the right venue, very little of it can get underway. Efficiency for the event planner was central to the rebuild of The Westminster Collection’s brand new website, which I’m pleased to launch this month. Saying it quickly, saying it well and making it easy to enquire are important aspects of the new design of the site, which was built by Design Incorporated. Event planners were telling us they wanted a speedy foot in the door to some of London’s best and most centrally located venues, and that their initial decisions about which venues to book are driven by venue location, capacity and style. Taking that feedback, we stripped down our original site and took it right back to basics. Location is a huge lure for The Westminster Collection but the boundaries of this borough are often misunderstood. The City of Westminster is home to some of the finest meetings, conference and events venues in the capital, and it accounts for a huge area of Zone 1 central London, encompassing major landmarks, world famous shopping streets, beautiful parks and an assortment of restaurants, attractions and entertainment. It borders the London Borough of Camden to the east and the Royal Borough of Kensington and Chelsea to the west, incorporating districts including Bayswater, Belgravia, Hyde Park, Knightsbridge, Mayfair, Marylebone, Paddington, Pimlico, St James’s, St John’s Wood, Soho, Victoria and the famous West End. With a responsive design that makes it compatible with mobile and tablet devices, venues can now be browsed and selected from an interactive, Google-based map, which emphasises the breadth of the City of Westminster and the wealth of venues available within it. Venues are pinned to the map and when clicked, give the user the option to view the full profile. The site’s new venue shortlist facility now enables event planners to add one or more of their preferred Westminster venues to a shortlist, from which they can then compare venues side-by-side according to location, size, room specifications and accessibility. If they’re happy with their selection, they can click ‘enquire with selected venues’ to complete a brief form which will then distribute this single enquiry to all of these venues. The special offers page of the site now syncs smartly with the individual venue profiles, so if you view a profile, you’ll see the venue’s most recent corresponding offer appear in the left hand toolbar. The news page is also much more user friendly, with an attractive layout and the ability to share individual articles across social media channels – a feature we now expect when we access content online. Readers can also comment on articles and perform a keyword search of the site’s blog content to find relevant posts. A particularly rewarding part of the build process of the new website is that the project has been steered by a specially formed committee of representatives from venues within the collection, led by Craig Wallace, conference and events manager at 1 Wimpole Street, with support from Anna Glazebrook at One Great George Street, Clare Hodgkinson at Church House Conference Centre, Maria Schuett at Central Hall Westminster, Petra Bones at The Banqueting House and our marketing and communications agency Custard Communications. What we have now is something we’re very proud of and feedback during our recent soft launch demonstration phase at Confex is proving valuable. Although we’re confident the website is a much stronger tool for events planners, we will not stop the site development here. We’ll continue to polish and refine features and site functionality and we look forward to the platform this now gives us to better communicate with the events community and those looking to do business in Westminster. Any feedback and suggestions are welcomed. Please email news@venues-london.co.uk. A video delivering the inside scoop on Google Analytics and Adwords and their impacts on website performance over time is now available to view online for free, thanks to the team at One Wimpole Street. Featuring the last session in the venue’s popular 2012 technology masterclass series, speakers David Miles, director of online marketing training consultancy Divadani, and Jeremy Nelson-Smith, director and internet marketing consultant at The Internet Specialist, come together in the video masterclass to provide free and valuable tips for maximising the use of Google AdWords as an advertising tool and for optimising website performance by accurately analysing data available via Google Analytics. The masterclass video is available on demand now, free of charge to event planners, event buyers and event marketing professionals. Viewers are able to choose between watching the whole masterclass sequence, or viewing the two speaker sessions individually. Miles champions the idea that Google AdWords is an extremely powerful advertising tool, delivering rapid results and a great return on marketing investment. He also explains how Google AdWords works and what benefits it has over other methods of driving traffic to your website. Crucially, he highlights the things you need to be aware of in order to avoid wasting money on AdWords. Nelson-Smith unravels web analytics to demonstrate the need to use Google Analytics to increase website performance and make better business decisions. He explains how to measure and understand which marketing channels are most effectively delivering quality visitors to your web pages, whether your content is doing its job in engaging your visitors and how to use this vital knowledge to increase your sales. One Wimpole Street will be launching a new masterclass series in 2013. To be the first to find out more, register your interest by clicking here. To watch the free video of the Google Analytics and AdWords masterclass on demand, click here. Twitter like other social media channels is easily searchable. Remember that your readers could include current and potential clients, press, suppliers and competitors. Stop and think before sending your tweet; make sure you aren’t alienating any of those groups or unintentionally causing offence. Also bear in mind that anything you write on social media is part of a permanent record and could be quoted out of context maybe weeks, months or years into the future. A good rule of thumb is not to write anything you wouldn’t feel comfortable being printed on the front page of a national newspaper. The internet is full of varied opinions which make it a rich and interesting landscape. However, when writing a tweet avoid comments that could be interpreted as slurs, demeaning or inflammatory. Think twice before hitting send and if you are about to publish something that makes you even the slightest bit uncomfortable don’t publish it just to be controversial. Try and ‘talk’ to your followers the same way you would converse with real people in professional situations (avoid pedantic or composed language). Tweet content to engage followers that’s open ended and invites response. Don’t be afraid to bring a personality to tweets adding humour, sharing ideas and articles – it doesn’t always have to be business focused. Use Twitter as a tool to stay current on breaking industry news, products, events and ‘trending topics’ (topics that are immediately popular with Tweeters) and use the information to strike up conversations and discussions with followers. Use your Twitter page to communicate with followers regularly (announce special offers, new packages, events and venue related news including contract wins) and try to provide solutions or information in real time when responding to a direct tweet. Twitter can be used as an extension of customer service, allowing you to gain valuable feedback and develop one to one relationships with potential clients and suppliers. It is important to keep track of both positive and negative experiences in order to improve customer service and business performance.